Hi everyone! While I take the night off after an oh-so-lovely root canal, I've asked one of my new favorite bloggers to do a guest post here at Nailed It. I'd like to introduce to those of you who don't know her already, Margaret from Holy Manicures! I've been admiring her manicures every since I stumbled across one of her posts. Her style is much like I consider mine to be: bright and unafraid of color and bold patterns. She impresses me more and more each day and is definitely one to follow if you haven't already done so. Let's take a look at her manicure. When Katy asked me to do a guest post, I was excited to do my first guest post for another blog, and started thinking of manicure ideas. 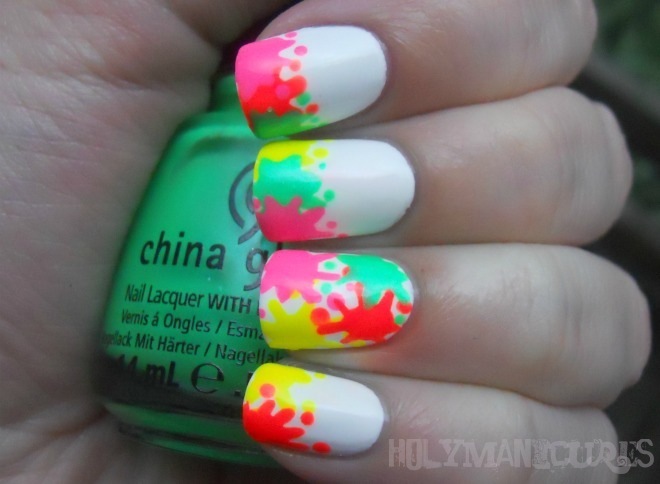 I decided that a neon manicure was the perfect choice now that it really is feeling like summer, and went for a simple and fun paint splatter design. I used the paint splatters as a sort of twist on a french manicure on all of my nails except the accent nail, which I covered in the splatters. 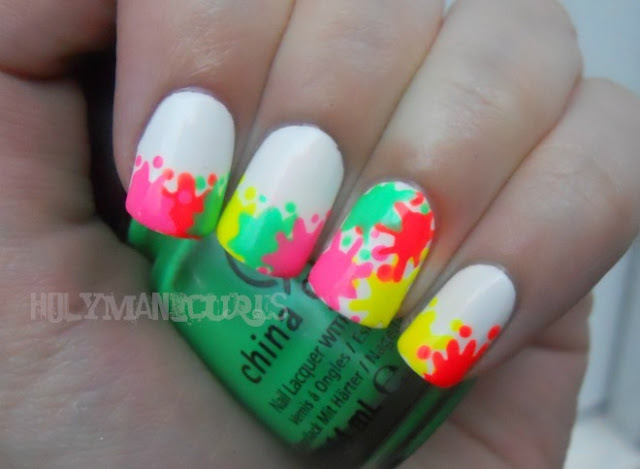 The base color for this design was Wet n Wild French White Creme and I used four of my favorite neon polishes for the splatters. The ones I chose to use were Claire's Orange Neon, American Apparel Neon Yellow, China Glaze Shocking Pink, and China Glaze In The Lime Light. This design can be really fun in all sorts of color combinations, but the neons are definitely my favorite option. 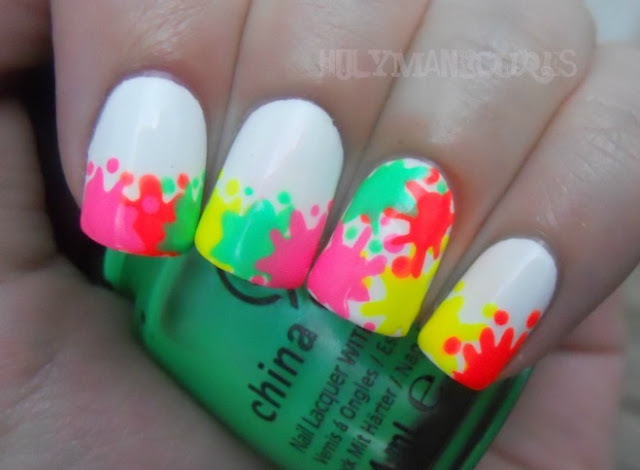 So perfectly bright for summer! Eh? What'd I tell ya?! Brilliant stuff right?! 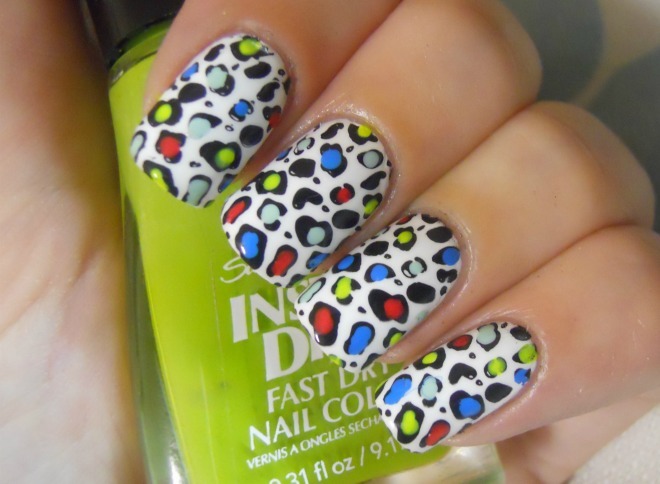 Here are a few of my other favorite bright manicures she has done. Her range isn't just bright and colorful, but those are my favorites. I'm a sucker for color. I hope you've enjoyed this awesome mani from Margaret. 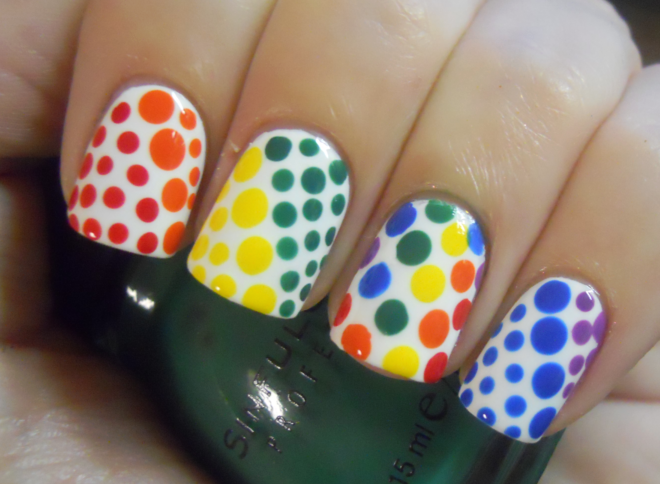 You can visit her blog, Holy Manicures and pick your favorite mani as well! I'm in love with your first nail art! 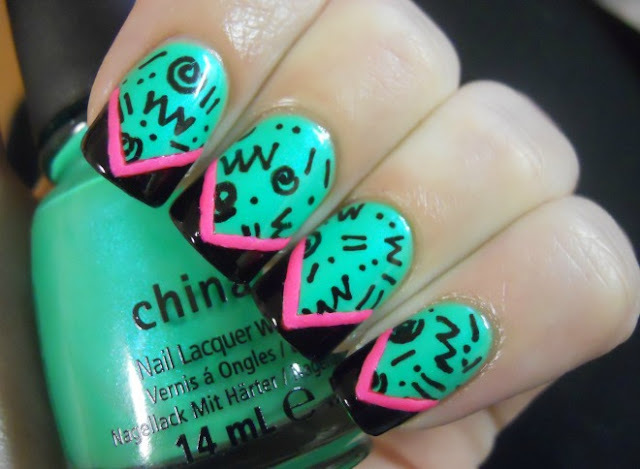 Lots of super nice nailart. 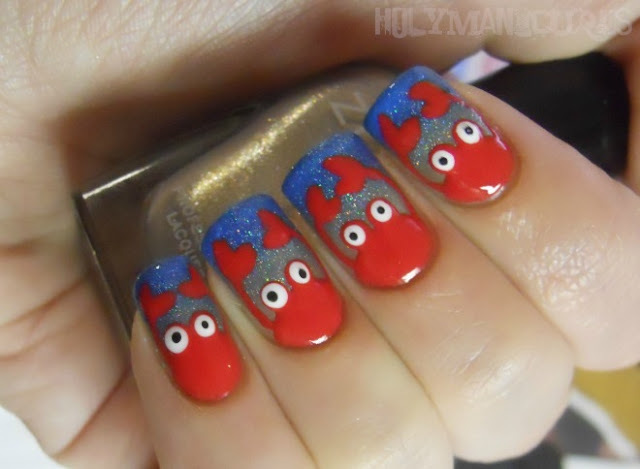 Yes, her manis are awesome!